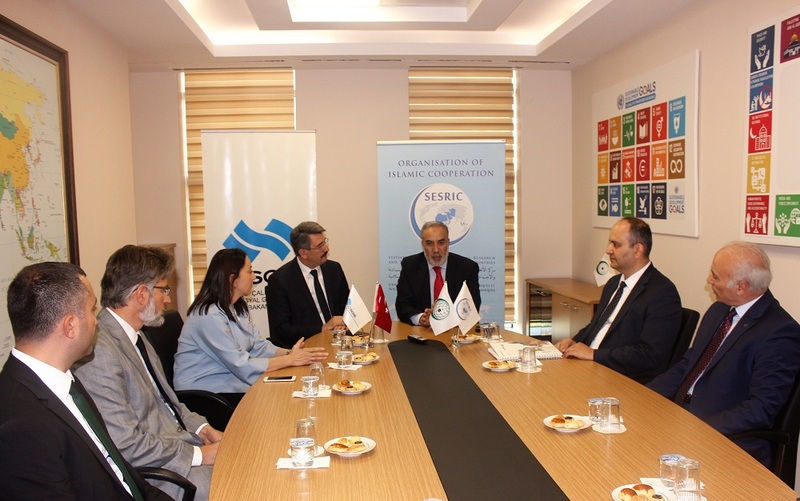 SESRIC signed a Memorandum of Understanding (MoU) with the General of Occupational Health and Safety (DGOHS) of Ministry of Labour and Social Security of Republic of Turkey to strengthen cooperation in matters of common interests. The MoU was signed during a ceremony held at the SESRIC HQ on 26 September 2017 in Ankara Turkey. The Memorandum of Understanding was signed by H.E. Amb. Musa Kulaklıkaya, Director General of SESRIC, and Dr. Orhan Koç, Director General of the Occupational Health and Safety. The MoU provides a general framework to develop cooperation and partnership between the parties in the areas of occupational health and safety (OSH) for the benefit of the OIC Countries. In line with the signed MoU, the two institutions will sustain each other and maintain effective, systematic consultation, cooperation and exchange of information between them by organising joint activities in the area of Occupational Health and Safety.